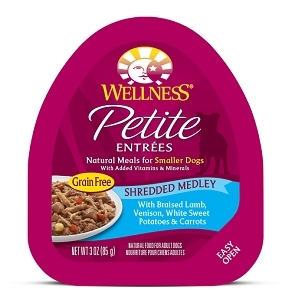 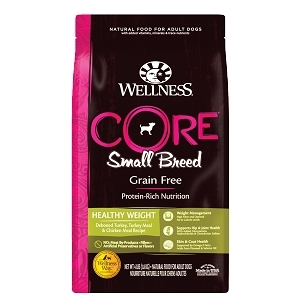 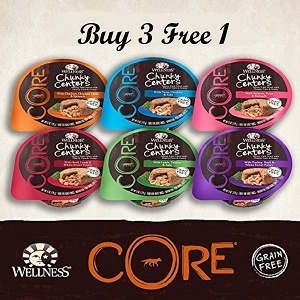 Wellness CORE Chunky Centers feature savory, protein-rich pate filled with hearty cuts of premium meat and gravy. 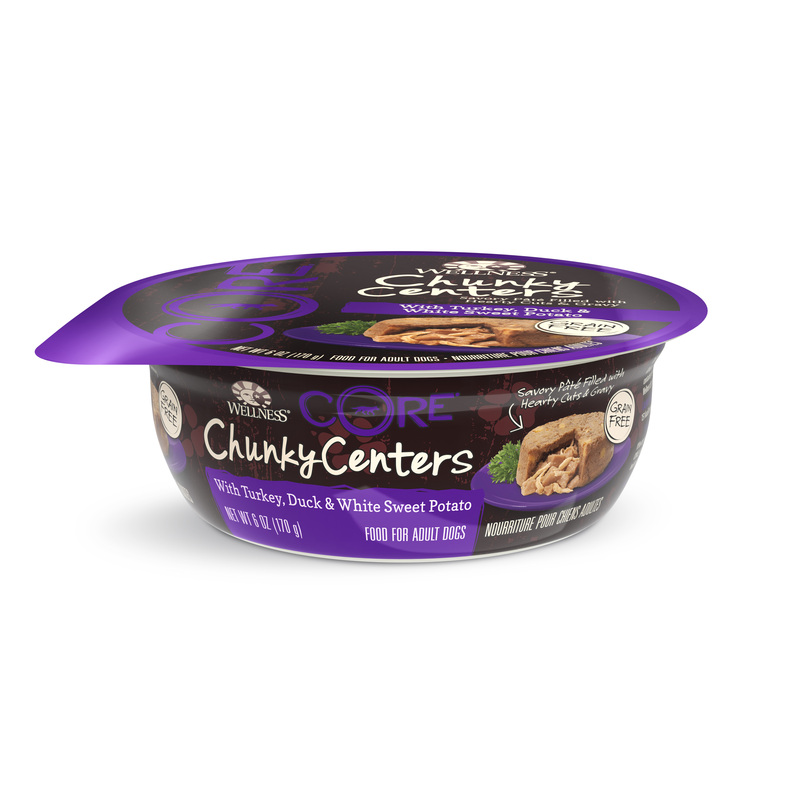 Packaged in an always fresh, easy open tub for delicious, meaty meal or snack at home or on the go! 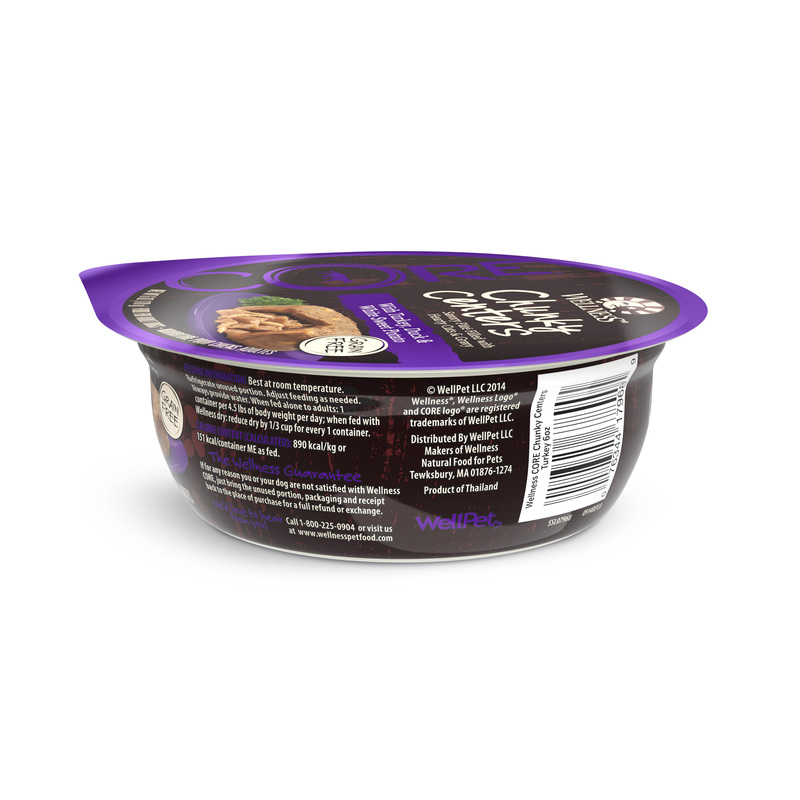 Chicken broth, water sufficient for processing, chicken, turkey, duck, white sweet potatoes, potato starch, chicken liver, egg, natural flavor, locust bean gum, carrageenan, guar gum, tricalcium phosphate, potassium chloride, sodium carbonate, salt, xanthan gum, magnesium sulfate, vitamins [vitamin e supplement, thiamine hydrochloride, niacin, vitamin a supplement, pyridoxine hydrochloride, d-calcium pantothenate, riboflavin supplement, folic acid, vitamin d3 supplement, biotin, vitamin b12 supplement], choline chloride, zinc amino acid chelate, iron amino acid chelate, manganese amino acid chelate, copper amino acid chelate, potassium iodide, sodium selenite.